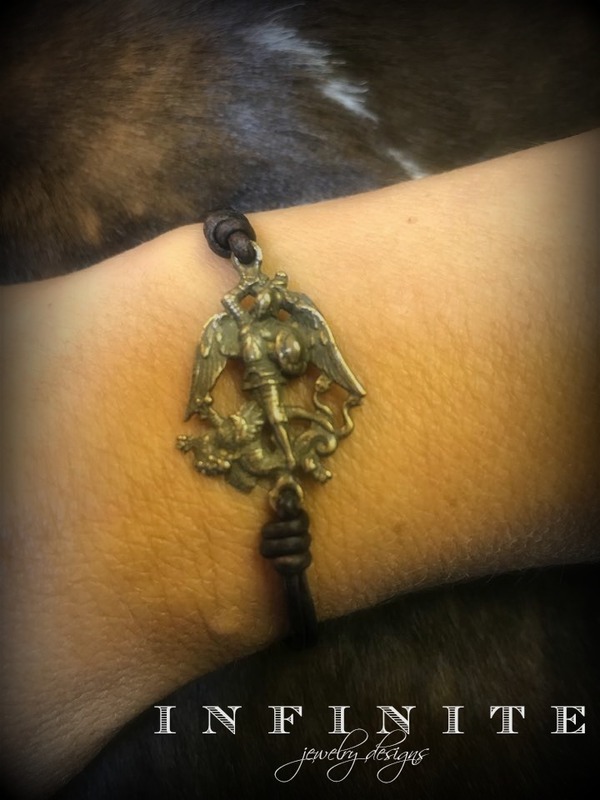 Description A bronze St. Michael medal simply knotted on premium leather cord with lobster clasp underneath wrist. Looks great with my scapular bracelet design or any of the full pearl bracelets. Add it to anything and it is sure to look great!